​​At Project Impact we believe the cornerstone of a healthy community is family. And fundamental to a healthy family are faith, safety and security. 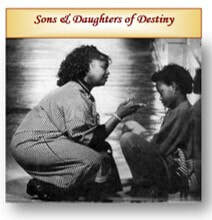 Through our Sons and Daughters of Destiny programs we teach these fundamentals. In partnership with Community Wide Federal Credit Union, Project Impact presents “Money, Me and Thee”, a comprehensive money management, financial literacy program based on what God teaches us about money. Option to enroll in a Blakeonomics Youth Empowerment and Financial Literacy Wealth Creation After School Program. Opportunity to join PISB Entrepreneurship Training and share in the profits of a small business.